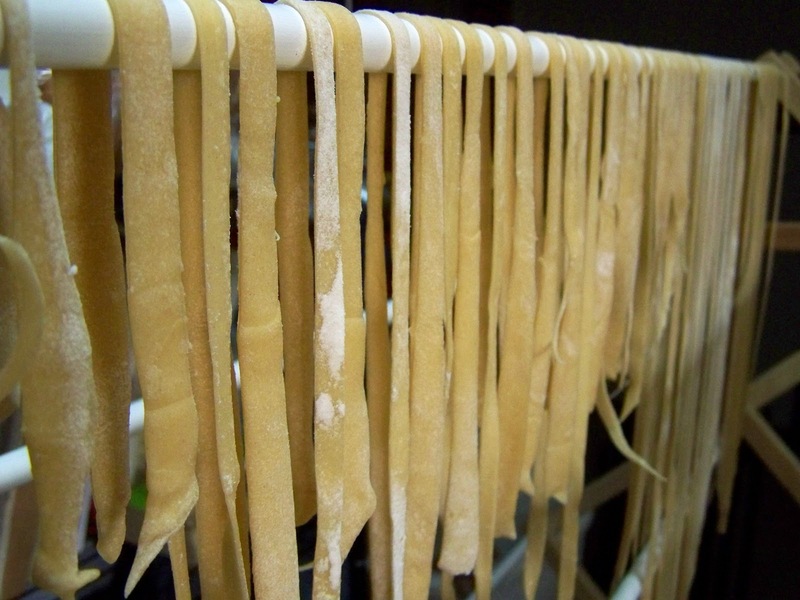 ﻿ ﻿﻿One of my favorite ways to make a meal special without spending much money is to make homemade egg noodles. It is easier than you might think to make your own noodles. Your family will be impressed and you can feel good knowing that you saved a little grocery money! I use my Kitchen-Aid to make my noodles now, as it definitely saves time. I love my pasta roller attachments! 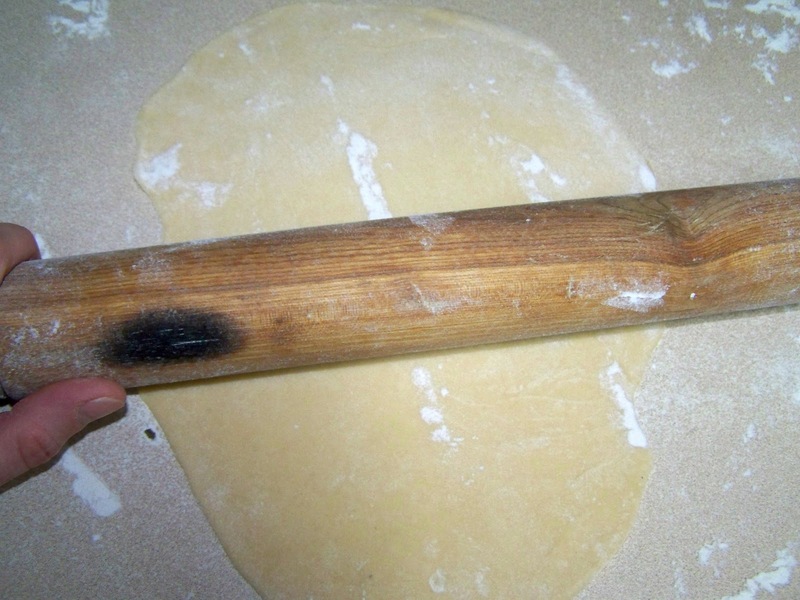 But even if you don't have a pasta roller, you can make wonderful egg noodles with just a rolling pin, a knife and some good old fashioned elbow grease. 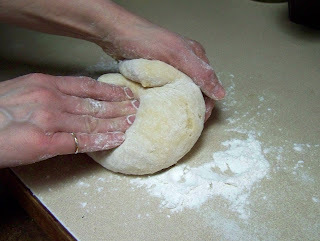 3) Knead dough with hands until smooth and elastic. develop, making the dough even more elastic. 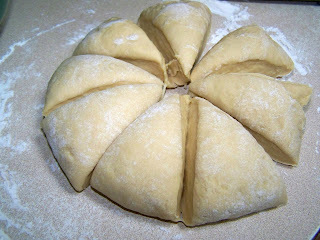 6) Roll dough sections out to desired thickness. I prefer a thickness of about 1/8th inch. 8) Cut dough into strips of desired thickness. 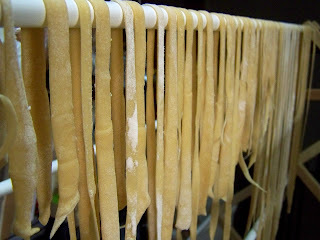 ﻿ ﻿I generally dry my noodles prior to cooking but if you are in a big hurry you can cook them while they are still soft. I cook my noodles in salted, boiling water for approximately 5 to 7 minutes. Or I cook them in my soup if that is how I am serving them. 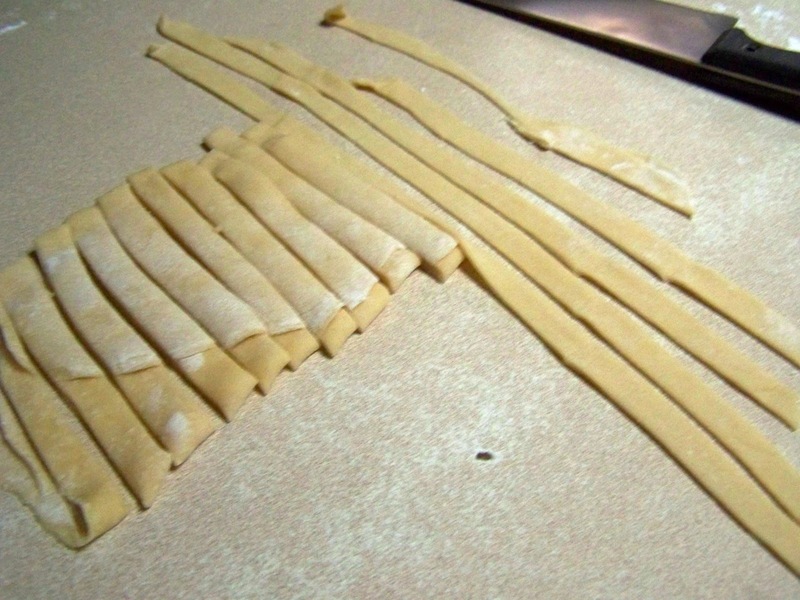 See how easy making your own egg noodles really is? Now you can make any meal special! That looks good and easy. We have a lot of extra eggs that we can't sell these days and I have run out of new ways to fix them. 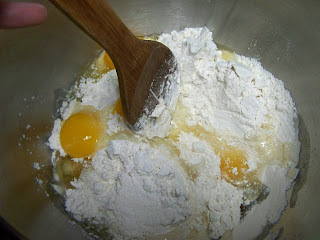 Now if I just have some flour! 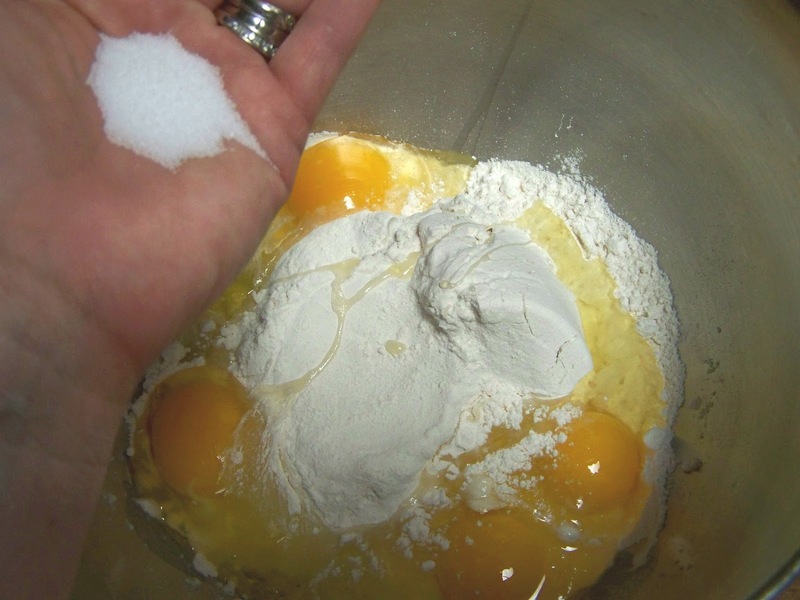 It is really easy and yes, a good way to use up some of those extra eggs. I guess you probably freeze some of your excess eggs too? Very nice. 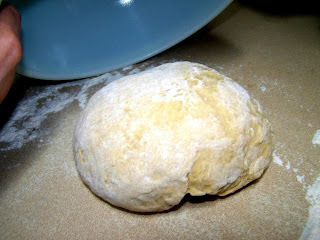 I still intend to use my manual pasta maker one of these days. Good deal Becky! Thanks for your visit! 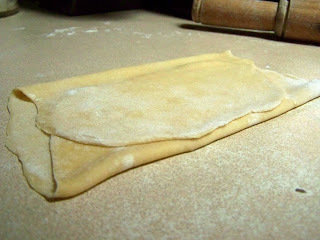 I love homemade pasta too, it tastes delicious! Pasta roller attachment is on my to buy list next! Marina, I think if you make pasta, the roller attachment is worth it's weight in gold! We use ours to make ravioli too! I've bookmarked this. Thanks for the information.! My pleasure Linda! Thanks for visiting! Glad to see you here Katherine! Enjoy your noodles! You just made my day! Of course you can link this post! I'd love for as many people as possible to see just how easy it is to make your own egg noodles! Thank your for your visit and for your kind words! Very nice presentation. I am going to try these. Thank you for sharing.